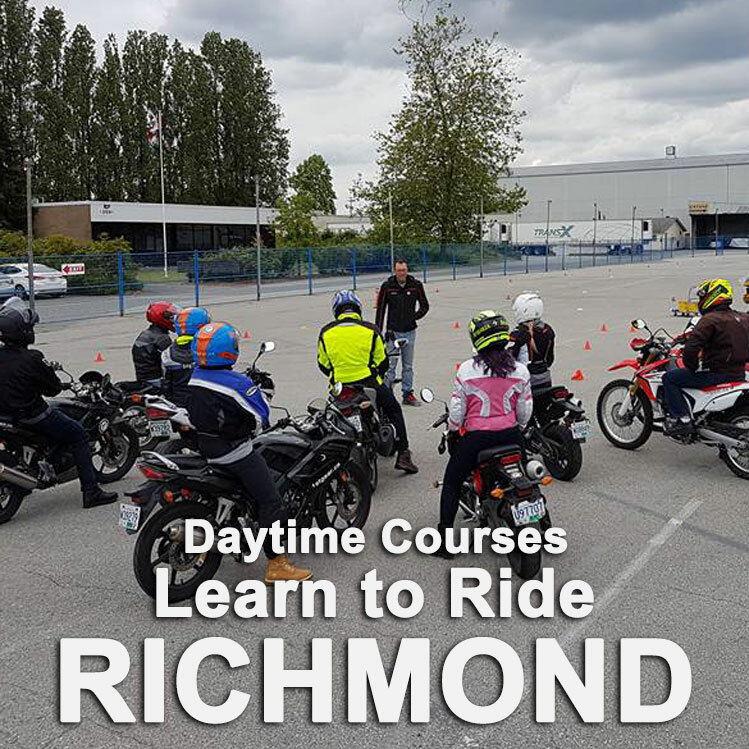 This course starts at 10:30AM on TUESDAYS at the conference room in the Richmond Ice Centre at 14000 Steveston Hwy. Same place as our training lot. 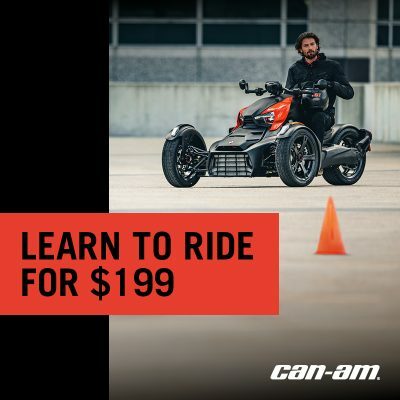 Motorcycles, Motorcycle gear, and MST test is included. Learners License REQUIRED for all courses. PLEASE read the full course details at the bottom of this page before signing up. When ready, choose a GREEN start date on the Calendar. GREEN/RED means limited space available. RED means class is full. We start in the conference room at the Richmond Ice Centre for the classroom session. After lunch we will be out on the training lot to ride motorcycles for the rest of the day. We start in the conference room at the Richmond Ice Centre for the classroom session. We will practice what we learned yesterday and start learning more advanced maneuvers. MST Test day! We start in the conference room at the Richmond Ice Centre for the classroom session. We will finish up any exercises and then practice the MST test. When ready we will test you. What you need to bring. Your motorcycle learners license. If you do not have this when the course starts, we can’t teach you. Wear jeans, ankle covering shoes, and bring a water bottle. Lunch options are nearby but bring a lunch as they are limited. Road Rides. 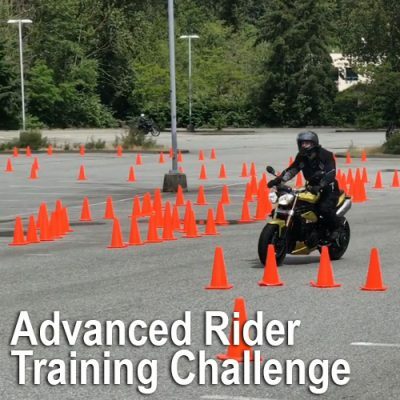 Every student gets two road rides These are three hour, instructor led rides with our motorcycles. Motorcycle gear included too. Road Rides are run multiple times every week and you choose the date and time that suits you. Please wear jeans and shoes that cover your ankles, this is mandatory. 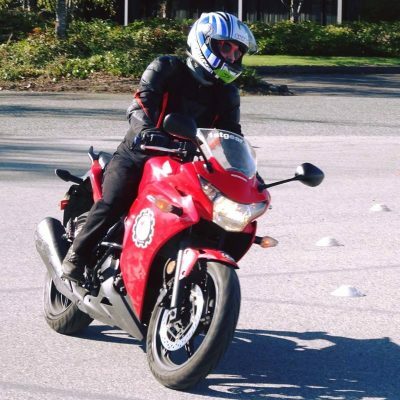 If you have your own motorcycle and motorcycle gear, bring it! ICBC Road Test booking. We can book a road test for you. Motorcycle can be provided. Motorcycles & Motorcycle Gear Provided for you. 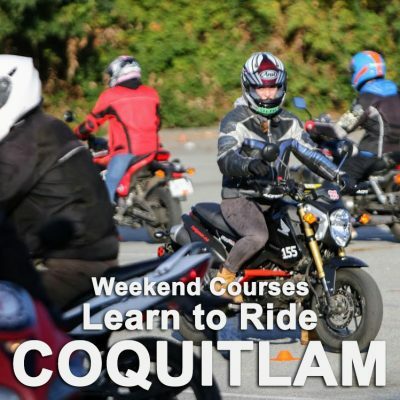 Sportbikes, Cruisers, Dirtbikes, and others are all available for you to learn on and try out. Figure out the bike you like to ride the most before buying one. Helmet, jacket, and gloves provided. All types and various sizes to fit you. If you are under 19 years of age a parent or guardian MUST be present to sign your Waivers. The parent or guardian must come to 1st Gear with you. 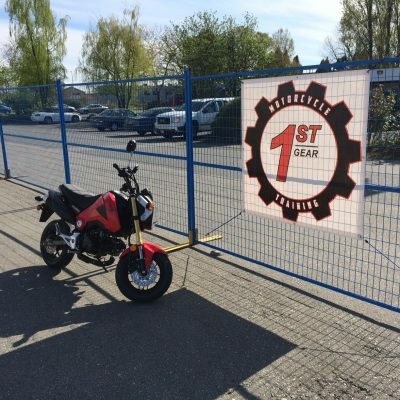 This is mandatory before you are able to be trained due to our liability policies (ICBC and 3rd party insurance).